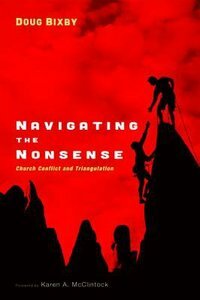 Navigating the Nonsense will change the way your church approaches conflict and communication. It will unlock the untapped potential that exists in your church. It is a book for clergy and lay leaders. It is for churches tired of getting a new pastor every four years. It is for pastors who are afraid conflict may derail the effectiveness of their ministry. It is for pastors who are afraid conflict with a small group of people may lead to an early departure from their pastorate. It is for church leaders who want to find ways to protect their pastors from disgruntled members. It is for leadership teams and boards that feel their ministries are frozen in place or in a permanent state of decline. It is for those who believe the church cannot focus on ministry if it is bound up by so much conflict. It is for anyone who is tired of feeling frustrated and wants their church to become more centrally focused on Jesus and his way of doing things.